They lived during the first and second centuries. Rabbi Akiva died a martyr at the hands of the Romans. The story tells of a drought in Israel. First Rabbi Eliezer prayed, for quite some time, but nothing happened. Rabbi Akiva followed with a short prayer and was immediately answered with a downpour of rain. Rabbi Eliezer led the congregation in the lengthy prayer for fast days, but his prayers were not answered. At that point, his student, Rabbi Akiva, prayed for rain, and rain began to fall. When the rabbis present began to discuss why the student, Rabbi Akiva, was successful, while Rabbi Eliezer was not, a heavenly voice called out that it was not an issue of greatness; rather, Rabbi Akiva was more relaxed and forgiving with regard to his honor, while Rabbi Eliezer was more exact and demanding. God rewarded the one who was more forgiving, who "let it slide" when disrespect was shown. For a leader there is a virtue in being forgiving when people show disrespect. Although a great leader is deserving of proper respect he also should be forgiving when others insult or slight him, when others do not treat him with the respect that is deserved. There is a virtue in forgiving but there is also a great virtue in standing up for what is correct and proper. Many people think it is fun to be the leader. In school kids play "follow the leader" and similar games. When you grow up you find that leadership is an enormous responsibility and a job most people should avoid. Look at our current leaders, USA and Israel. Think what you want of them but do they deserve the daily mocking they receive? I am not referring to well thought out editorials written in respectable newspapers but to the bizarre Photoshop images and mocking shaming pictures. Most people are not cut out for leadership and most will not retain this position for very long. As Jews we see Moshe, the Biblical Moses as the leader, the ultimate leader, the only one called Moshe our Rabbi. And yet he too faced very difficult challenges. At times he wanted to give up. People can be so cruel. He did not live during the Facebook era, there was no international press or internet, just a few stone tables, but people are people. And people can be cruel and thoughtless. It is difficult to be a leader. We read in the book of Numbers that Moshe has had it, he is done, burnt out, fed up, can't take it anymore. People will drive you crazy. 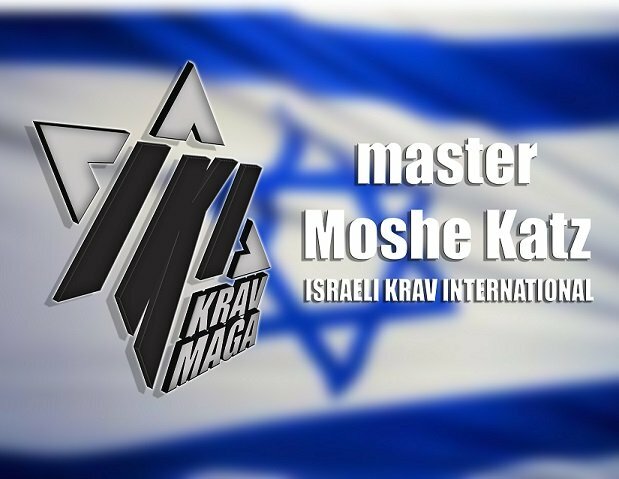 Whether you are a president, a CEO or the leader of a Krav Maga association, you will face your challenges. Chapter 11, Moshe is fed up and complains to God, why did you cause me such harm? Why did you give me this responsibility? Why did you put so much on my plate? Moshe had provided the people with food but now they were complaining that the "food was boring". It is not easy being a leader and no matter what you do, even if you are a Moses! people will still find fault in you. Leadership is not for the meek. And yet Moshe was "the most humble of all men who lived on this earth." and he continued with his job. And then came another challenge. Two men, Eldad and Medad, began to prophesize. This was seen as a challenge to the leadership of Moshe, for he was the prophet of God. A young man saw this and ran to tell Moshe. And Joshua, the loyal follower of Moshe, he too was angry, how dare they! "Joshua, the son of Nun, one of Moshe's chosen disciples, then called out and said: O Master Moshe, restrain them!" But how did the humble leader respond? He forgave, he did not stand on ceremony, let it be. It's OK.
"And Moshe said to him, Are you jealous on my behalf? Would that all the people of God be prophets, as they might receive the word of God directly." Moshe forgave, he let his honor pass. As did Rabbi Akiva so many generations later. We let it slide. Hopefully in time people realize their error. Moshe our teacher. Moshe - Moses, the Law giver, who stills guides us today. Moshe and Aharon, the holy brothers. And then came the incident with Miriam, the sister of Moshe. Sometimes we know someone from the old neighborhood, sometimes we are close with someone, so we feel that despite their status we can still treat them like the kid from next door. Yes, that is great, but in a public situation respect should still be maintained. Just because the president might be your brother does not mean that you can smack him around at the White House just as you did at your house growing up. You should not tell stories of how he peed in his pants in third grade. He is now the president and you must respect that status, at least publicly. I personally was told by some of my students that because I am so easygoing, one of the gang, that sometimes people forget the status of teacher. And sometimes they go too far in their relaxed attitude. I am still the teacher and if I start teaching a technique I do insist on complete silence in the room. Even if you are family, or friend, when I teach I am the teacher and you must respect that, or leave. Even if if I am easygoing you must remember that I am the teacher. And yet....we are told by God to be easy on those who step over the line with us, to forgive. How do we settle this apparent contradiction? Rabbi Akiva, the student of Rabbi Eliezer, was answered by God with rain while the elder Rabbi Eliezer was ignored. Why? Because Rabbi Akiva was more forgiving of those who showed a lack of respect towards him. And yet we shall see there is a limit. When the disciples of Moshe, Joshua and the unnamed young man, felt that others were challenging the leadership of Moshe, they demanded action. Lock them up! said Joshua. Yes, there is a limit. When Miriam and Aharon spoke against Moshe, God intervened. "Come out all three of you!" God called out like a parent about to reprimand his children. and what is written next? "Then God came down in a pillar of a cloud..."
Do you hear that? The disrespect shown towards Moshe was seen as so serious in the eyes of God that He "came down" from the heavenly chambers and like a father gathered his children for a talk. Imagine if your dad came home from work early to talk to you about something, as your mother called him from work and said...you better come and deal with this now. Can you imagine the anxiety and trepidation you would feel? clearly this is a very serious matter and there will be serious repercussions. And God says to them, "Listen Up" "Hear my words" and God goes on to explain how special and unique Moshe is. Hear ye, "How dare you speak against my servant Moshe! Were you not afraid to speak against my Moshe?!? These are the words of God. Moshe forgave, he "passed his honor" as did Rabbi Akiva years later, but still that does not mean it is OK to disrespect or take lightly your leader. The lesson here is one of respect, forgiveness and respect. And God punished Miriam with the extreme disease of leprosy. And to this day we say that this skin related disease, leprosy, is connected to slander and evil talk. Your soul is trying to get rid of the impurities in your behavior. (Of course I am not speaking as a doctor. I am not a doctor. And in no way does this suggest that people with skin diseases are bad. This is simply an analogy.) We are always advised to take every bad situation as an opportunity for self-reflection, to analyze our behavior and think about what we have done. When something bad happens the first thing we think is...What could I have done differently, how can I improve myself. Look inside yourself. "The anger of the Lord burned against them"
But Moshe, sweet humble Moshe, what did he do? "And Moshe screamed out to God, Please God heal her."